Bring a state-of-the-art movie theater experience home with the LS10500 projector. Featuring revolutionary, 3LCD reflective laser projection, this high-definition projector will elevate your home screen to a cinematic experience. The ultimate home theatre demands the ultimate projector. 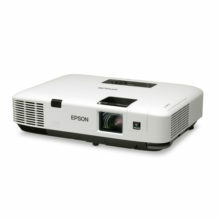 Bring a state-of-the-art movie theatre experience to your home with Epson’s groundbreaking EH-LS10500 projector. 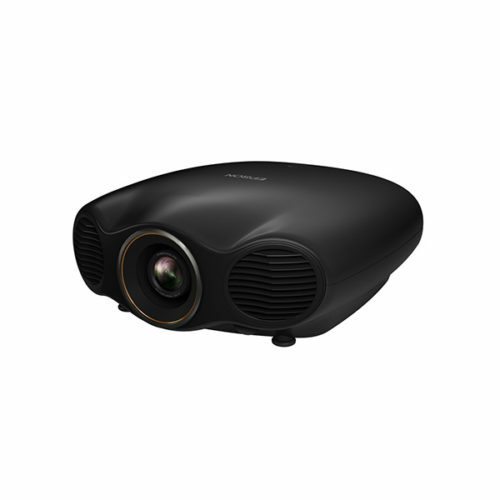 Featuring revolutionary 3LCD Reflective laser projection technology, this high-definition projector delivers phenomenal image quality and colour brightness that elevates any screening to an enthralling cinematic experience. Combining 3LCD Reflective panels and a dual laser light source, these projectors deliver the blackest blacks and bright, true-to-life colours with one of the widest colour gamuts in the industry. With 4K Enhancement Technology and HDR all of the subtleties that the filmmakers originally captured suddenly become visible in beautiful, crisp clarity. It’s not just projection – it’s Epson home theatre perfection. Considering the advantages offered by a laser system, Epson’s decision to use a laser light source for the EH-LS10500 was an obvious choice. The laser engine’s long lifespan of up to 20,000 hours² provides virtually worry-free operation. And, there’s no waiting for the projector to warm-up or cool down — the projector reaches maximum brightness and turns off almost immediately. Plus, high-speed contrast control ensures both bright and dark scenes look their best. The dual blue laser diode illumination system — one for red and green, the other for blue — ensures balanced, high-quality images. Enjoy brilliant, colour-rich performance. The full sRGB colour gamut is visible even in the brightest mode. And, the DCI colour gamut — the digital cinema standard — is also achievable. For decades, 3LCD projectors have been praised within the industry for delivering superior colour and gradation. 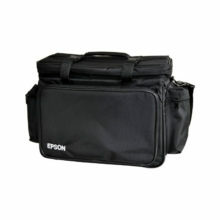 Now, with Epson’s innovative 3LCD Reflective system, you get remarkably high contrast as well. Featuring advanced liquid crystal on quartz technology, these 3LCD Reflective projectors boast exceptional performance, including an improved pixel density and increased aperture ratio for smoother, high-quality images. Experience incredible, unprecedented black levels – with zero lumens during Absolute Black scenes. Light reflection reduces and corrects the variation of polarisation, delivering rich, deep blacks. Choose from an array of colour modes for an optimised viewing experience. Colour modes include Dynamic, Bright Cinema, Natural, Cinema, Adobe RGB, Digital Cinema, 3D Dynamic and 3D Cinema. Enjoy fast, reliable projection from a constant beam of light. The laser light source delivers images that are more stable. The laser light source means that the correct colour gamut is fully realised at all times. Exceptional video performance with ISF Calibration tools. This isn’t just a new way to watch movies – it’s the best. Epson’s 4K enhancement technology reveals exquisite detail and brings the most delicate patterns to life. Whether it’s showing native 4K content or digitally upscaling Full HD 1080p content, a new level of finesse is brought to the texture and resolution of the projected screen. It shifts each pixel diagonally by 0.5 pixels to double the vertical and horizontal resolution. 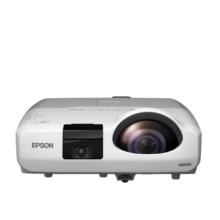 And with Epson’s Super Resolution and Detail Enhancement technology in place, you’ll have the optimal viewing experience with sharp and crisp images every time. Whether you’re watching a cinema classic or the latest 3D blockbuster, the advanced projection features on the EH-LS10500 deliver outstanding performances. 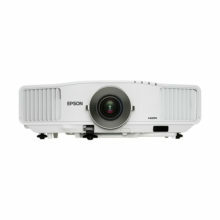 These innovations include Epson’s unique Super-resolution with Detail Enhancement Technology, exceptional Frame Interpolation capabilities, as well as powerful Bright 3D Drive projection. Experience a new standard of home entertainment. Bright 3D Drive Technology doubles the image refresh rate from 240 Hz to 480 Hz and reduces the blackout time of 3D glasses to provide greater brightness when viewing 3D content. Fast, quiet and precise, the EH-LS10500 allows you to preset up to 10 positions for zoom, focus and lens shift for both standard projection and wide cinema ratios. Project 2.40, 2.35, 1.85 and 1.78 aspect ratios on the same screen without an anamorphic lens — and no downtime when switching between ratios. Watch movies on a grander scale at the touch of a button, without any disruptive black bars. In addition to added reliability and amazing colour performance, Epson’s advanced projection technology enables a wide range of lens shift capabilities for outstanding installation flexibility. The EH-LS10500 has an incredible range of up to ± 90 percent on the vertical axis and up to ± 40 percent on the horizontal axis. Users can operate the lens shift functions using the remote control, the projector control panel, or control commands. Elegant body. Bold, glamorous curves. Textured black surface. These features are all part of a premium product that’s packed with innovation and power. Every inch of this projector has been considered. There’s no wasted space — and no exposed cables. Even the dark, matte finish of the EH-LS10500 is itself an innovation: It’s not just beautiful to look at, but it absorbs light, too. When it comes to home cinema, you want to focus on what’s in front of you — and nothing else. That’s the idea behind the innovative, efficient cooling system of the EH-LS10500. With noise levels as low as 19 dB, these are among the quietest projectors in the industry. It’s time to enjoy engaging cinema without distraction — all the better for those moments when the picture takes your breath away. A projector this quiet means you’ll never miss a word of dialogue. A whisper-quiet fan that’s so silent, you won’t even notice there’s a projector in the room. The projector feature thermal-conductive copper piping to help dissipate heat. Take the trouble out of troubleshooting with enriched network functionality and convenient hands-free features that make servicing the projector easier than ever before. Dealer representatives can securely and remotely monitor the projector’s status to address issues that may arise. There is even an email notification function that can send status alerts to a designated recipient. Provides automatic email notifications should problems arise. Easily integrate the projector with home automation systems through the RS-232c port.